I know it is no longer Friday, but these images were taken then, and I’m just trying to keep up with the holiday orders. 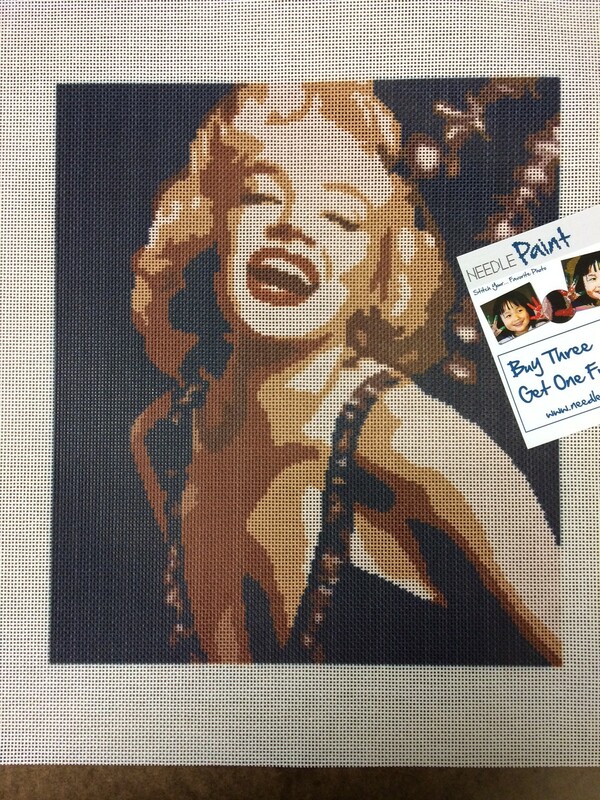 I’m excited we sold our first Marilyn Monroe needlepoint canvas from New York Needleworks. It came out very well! 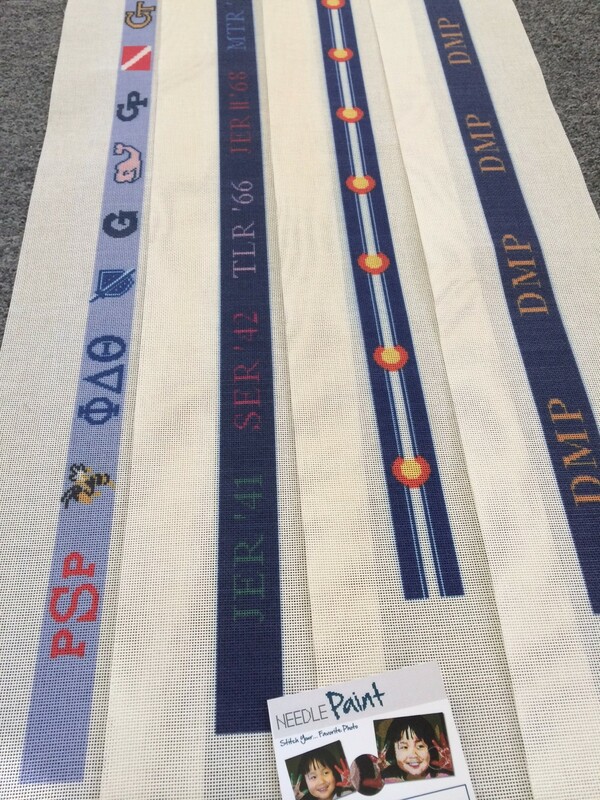 Of course I had to share an image of our custom needlepoint belt canvases, every week brings new challenges and creative new concepts that will end up on a lucky person’s waist. 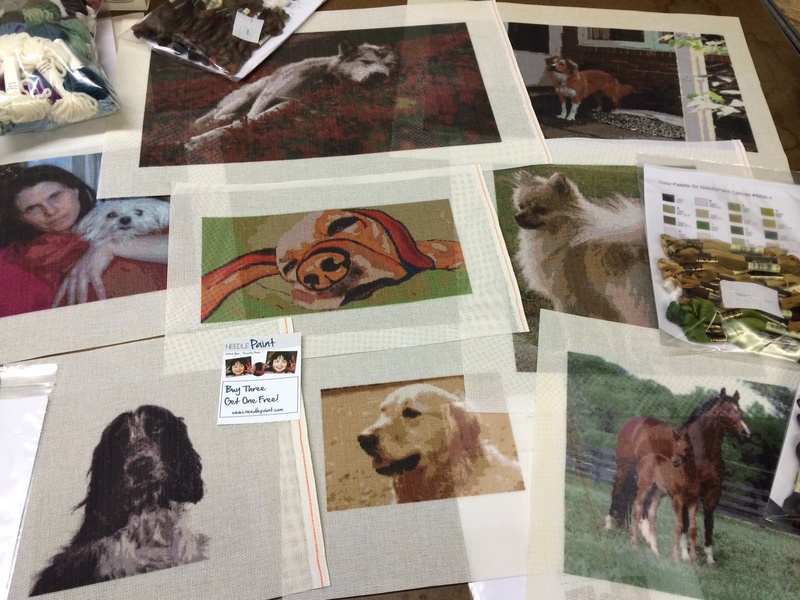 And last but certainly not least, we have a spread of custom dog needlepoint canvases from photos and one from artist Fowler Ruffin. Holiday season is here, and keep in mind you have until Dec. 10th to guarantee arrival before Christmas without any domestic shipping surcharge. (Dec. 17th is the hard cutoff). 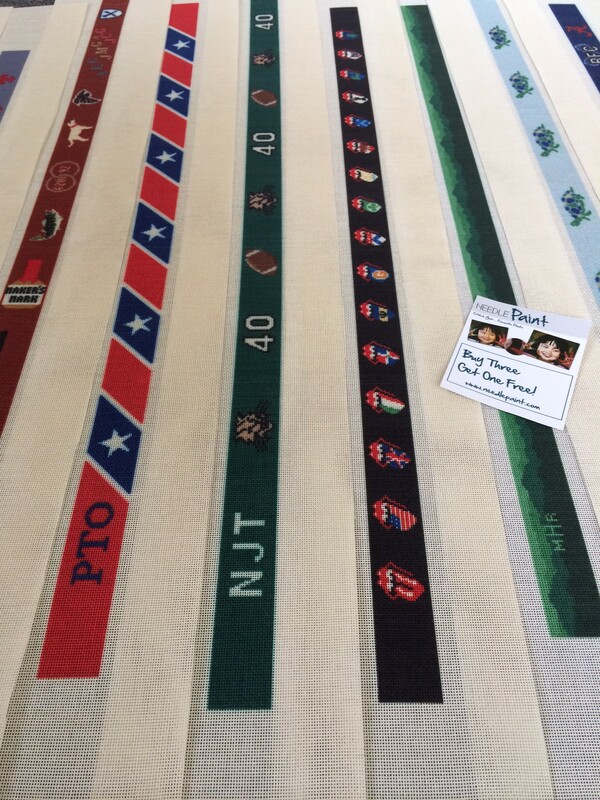 I love to design the custom needlepoint belt canvases, but they look so much better when they have been finished! 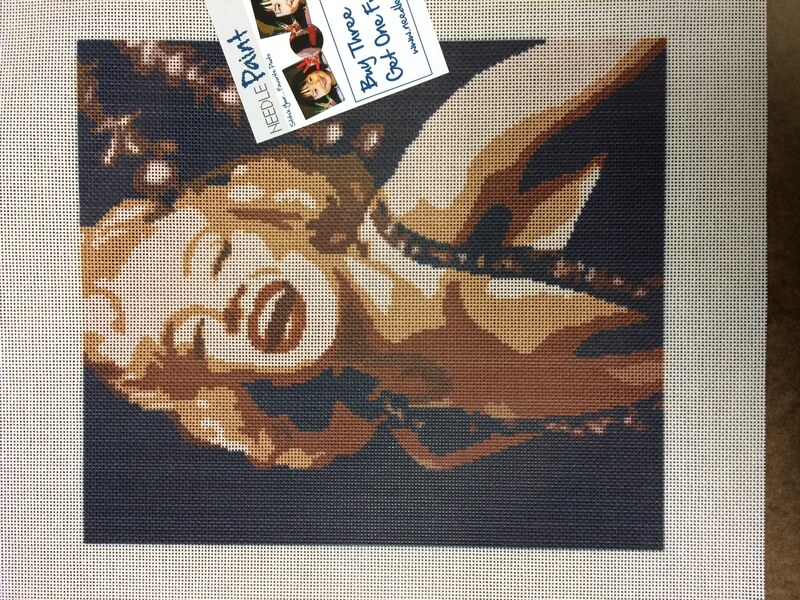 Big thanks to Jenny in Connecticut for sharing her fabulous stitching, and her input in creating this design. Also, I want to mention one of our recommended needlepoint belt finishers, Kathy at Leatherprize who took Jenny’s work and put it onto the belt. 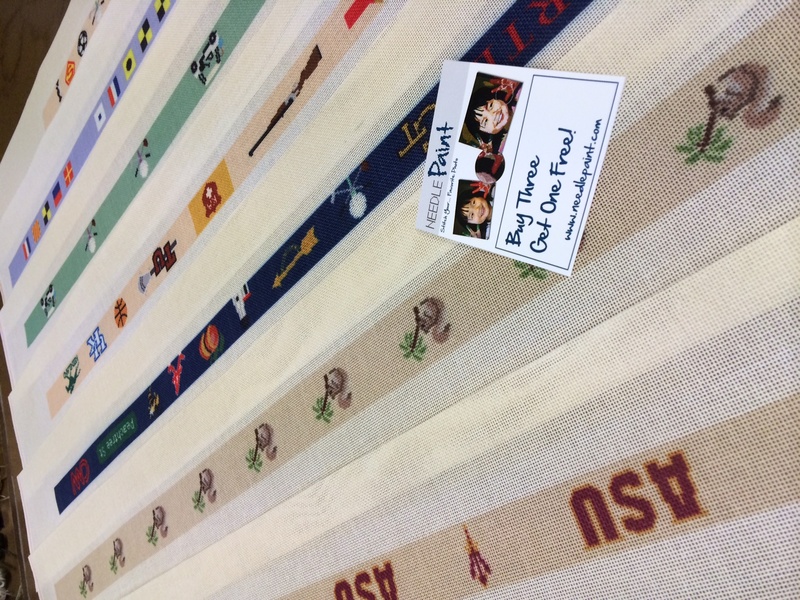 If you’ve got an idea for a needlepoint belt canvas, please contact us, we’d love to help! Friday Favorites – Dogs, Newborns, Handpainted Needlepoint, and More! 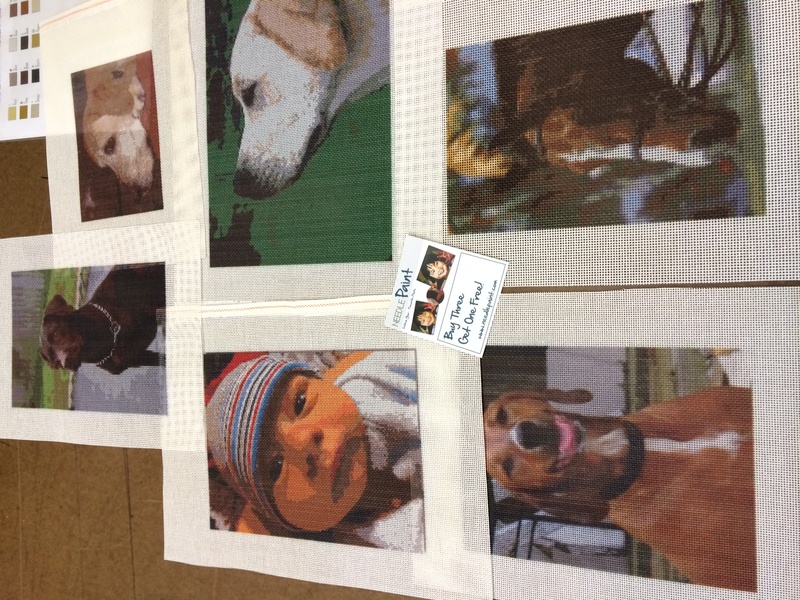 Cute dogs and a newborn are some of our favorite needlepoint kits from this week. Cute dogs and a newborn! 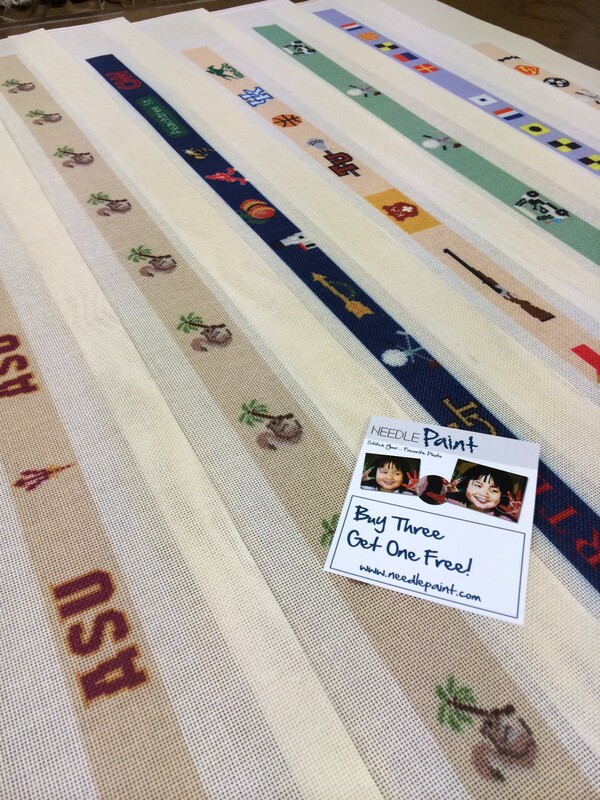 Super fun needlepoint canvases! Our painter has been busy lately, this project was commissioned from some vintage shell designs! 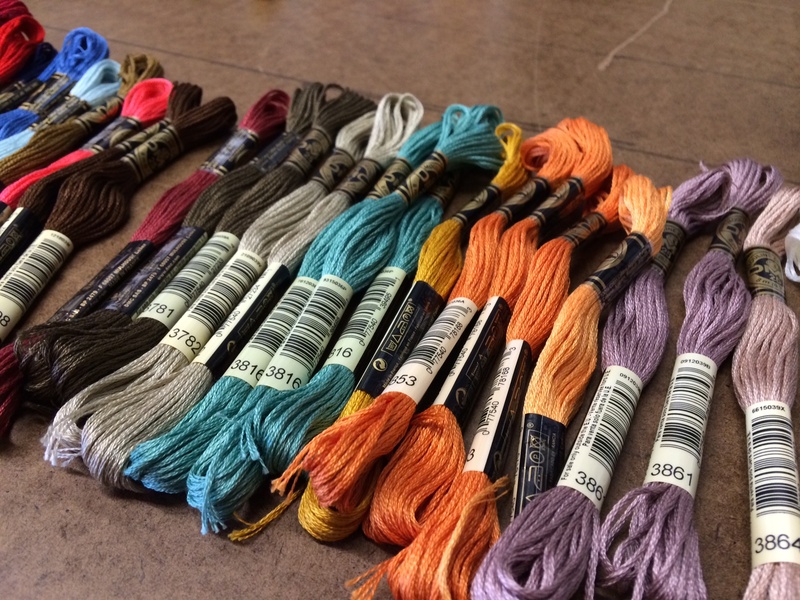 Lovely DMC colors on our workshop table, I had to take a picture. 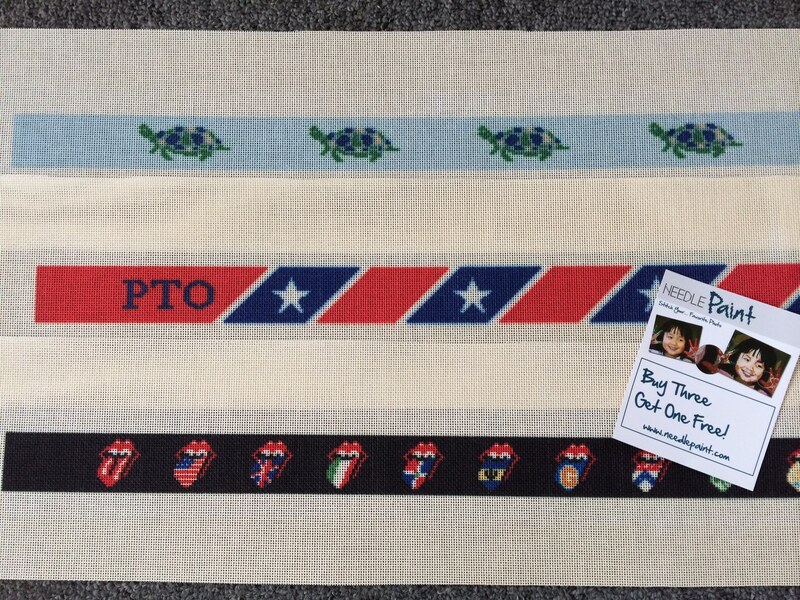 Needlepoint Dog Collars – New Designs! We’ve blogged about needlepointing dog collars in the past, but have finally created a needlepoint dog collar section in our shop! 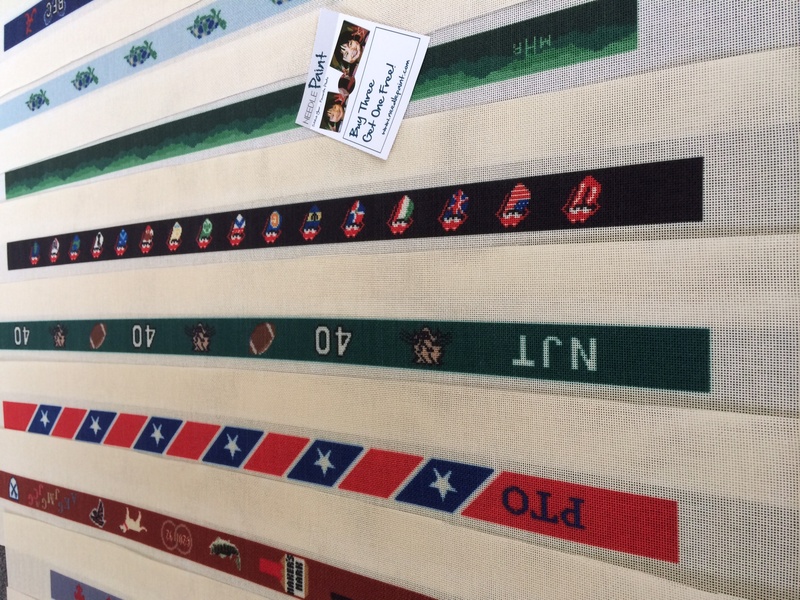 I’m putting the new needlepoint designs in this post, as they are different from any I’ve seen and pretty cool if you ask me. 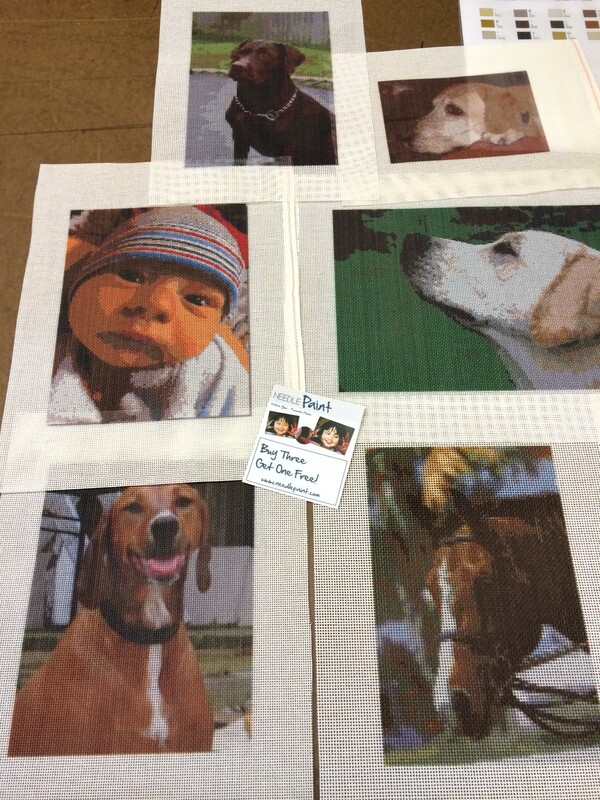 All these designs can be personalized and your dogs name and your phone number added to the canvas so you can stitch it in. This gets rid of having to listen the the metal tags jingle on your dogs collar! Also, if you want to take a belt design and make it into a collar, just let us know, we’d be happy to help. You’ll see a project for our dog that will be finished soon and I’m sure I’ll be post pictures of the finished collar so you get an idea of how good they look. 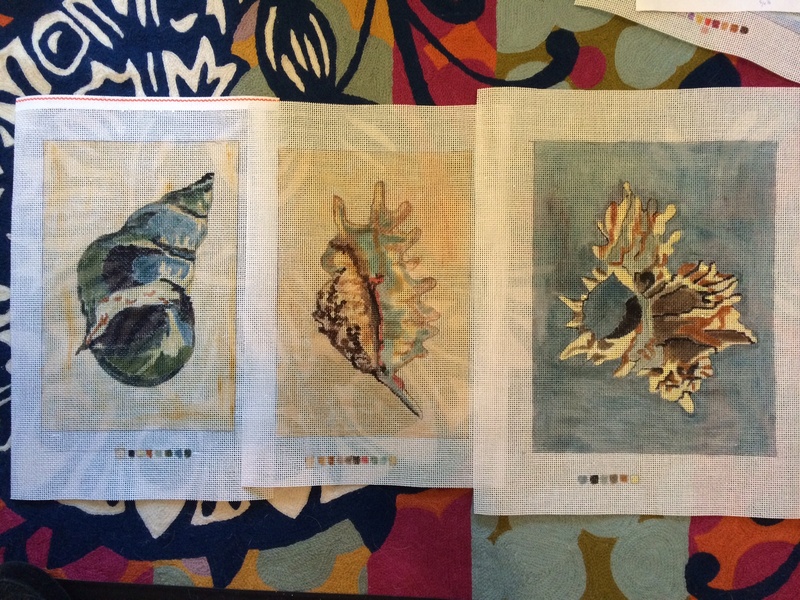 Here are four needlepoint belt canvases that we made last week! 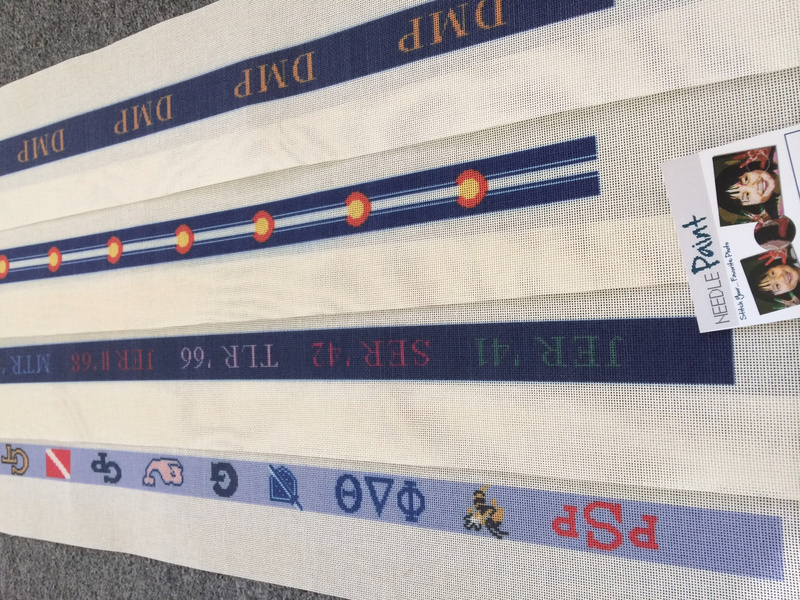 The others are a custom needlepoint life treasures belt, a colorado belt, and a single monogram belt.